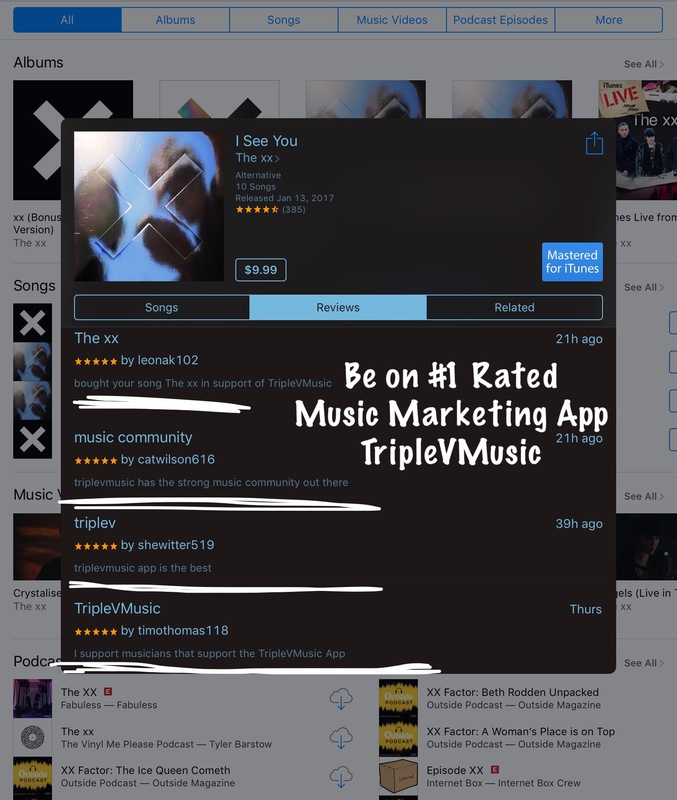 Price $399 – TripleVMusic App guarantees we can increase your music sales or your MONEY BACK! 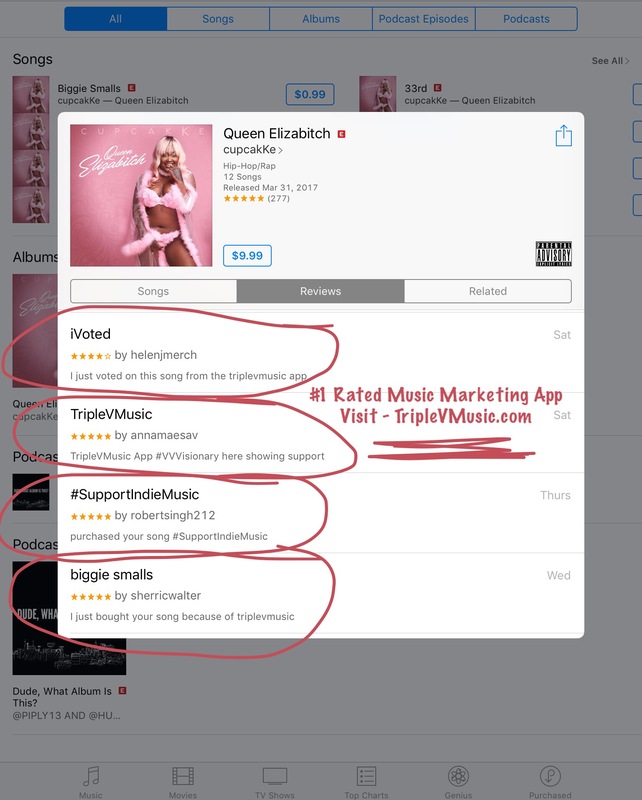 Increase iTunes & Amazon music sales! If a voter “Loves” or “Likes” your music video, there is a link for them to buy directly from iTunes or Amazon! 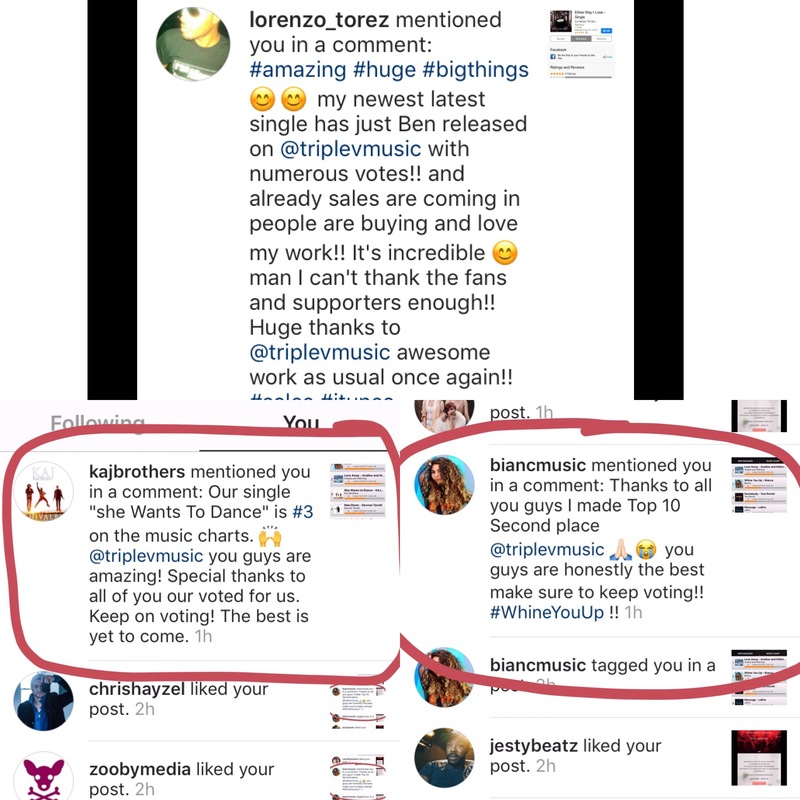 Reward ALL your music fans, family, and friends with FREE iTunes & Amazon gift cards for simply watching your music video! Engage with 10,000’s of music #VVVisionaries – music lovers that vote religiously on the TripleVMusic App! 7 Day spot on New Release Chart w/ability to stay on Top 10 Chart for weeks – WORLDWIDE! Live analytics that will help boost your career with fans, record labels, and A&R’s! 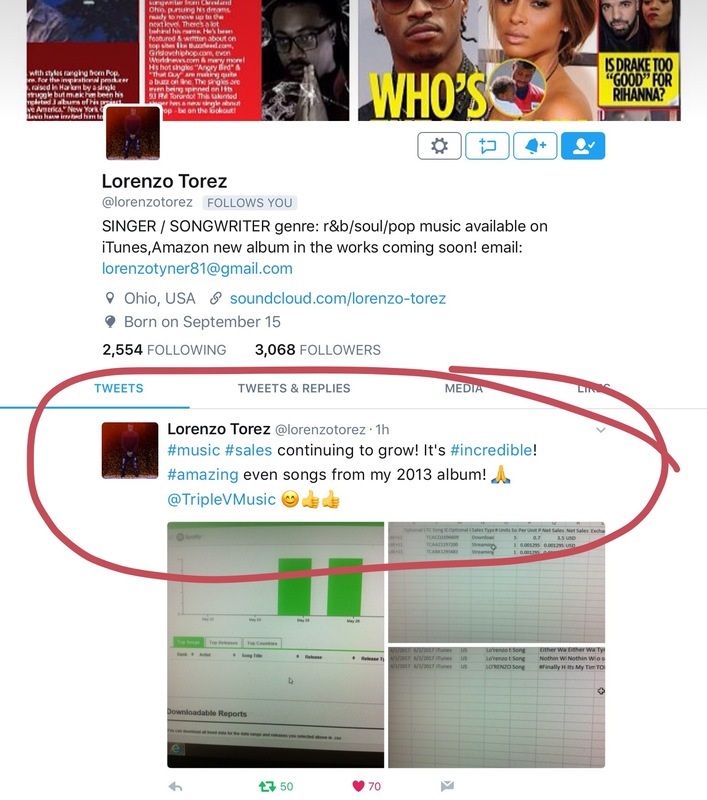 Better than any music press release or music industry email blast, exposure to the fastest growing music community, and the only truly respected accolade for indie music artists! 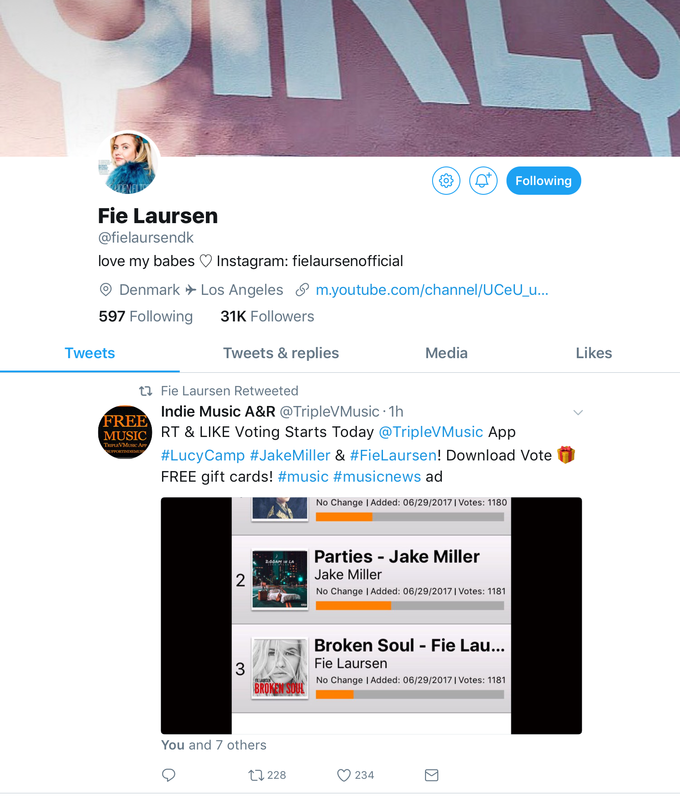 We tweet, instagram, & post about you to over +40,000 Music Lovers, Top Music Industry Experts, Radio Stations, Music Bloggers, and Indie Music Supporters on@TripleVMusic’s & @VideoViralView’s Twitter, Facebook, & Instagram accounts! Prices and availability subject to change without notice. You can purchase now and use later. Lock in your price today! 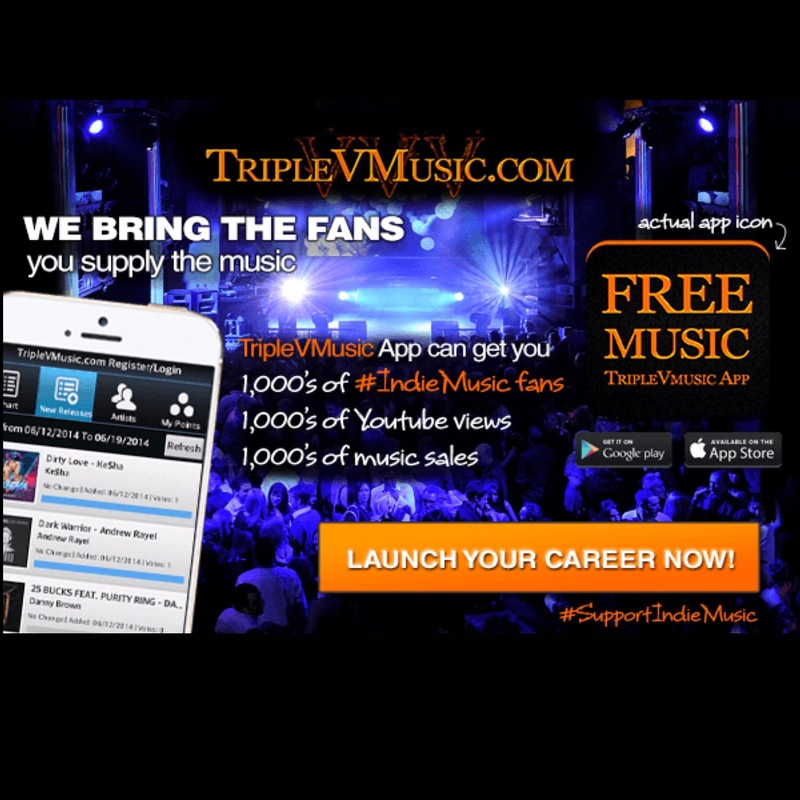 Join the hundreds of other musicians who have appeared on the TripleVMusic App!